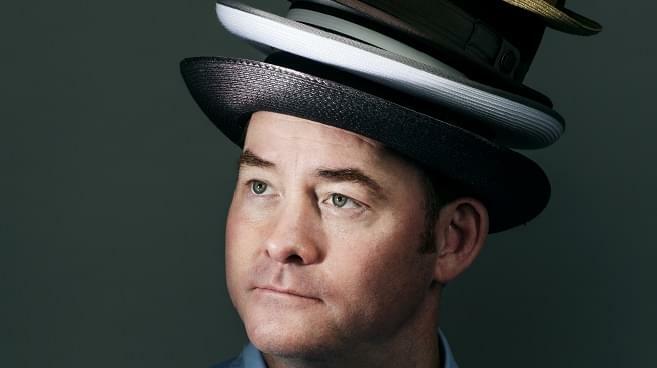 When it comes to prolific actors of our time people oftentimes think of Anthony Hopkins, or Samuel L. Jackson, but here’s one you probably didn’t think of: David Koechner. With starring roles in everything from Anchorman, to SNL, to the latest season of Twin Peaks, David Koechner has racked up an impressive 175 different TV and movie roles; a number that puts him in some very elite company. David stopped by the KFOG studios before his shows at Cobb’s Comedy Club this weekend to talk about his various roles on some of the most beloved movies and TV shows over the past 25 years. Plus a special bonus quiz to see if David can remember what character he played on several shows throughout the years. And lastly, David tells the story of how a poorly written headline had people (including me) thinking that he did something very inappropriate to a cop car.